Ed Kuepper; the ARIA award winning solo artist and founder member of legendary 70s proto-punk outfit The Saints and post-punk originals Laughing Clowns will be bringing his one-man-request-fest to both regional and suburban centres this July-August. 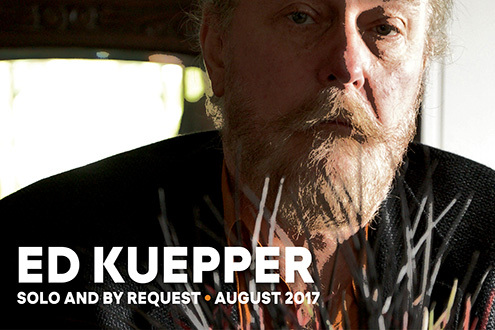 Initially performed in 2014, the ‘By Request’ shows have proved hugely popular, with Kuepper gladly accepting the invitation to tackle material from the aforementioned acts alongside various covers versions and material from Ed’s 40 albums strong solo career. Tickets for all shows on-sale Friday 12th May!